Neighbours to a newly approved 43-lot subdivision in Kyneton fear construction trucks will threaten safety as they are forced to traverse residential streets. The 5 Ripplebrook Way development offers no direct access from High Street for traffic, forcing trucks with heavy loads to enter via Ripplebrook Way and Sanctuary Drive, or Riverwalk Boulevarde. Neighbour Natalie Hanna said residents had previously experienced a construction truck losing its load during works on a similar nearby development and did not want to relive that fear. “We’ve dealt with construction traffic before. We already know what we’ll be up against and that puts us on edge,” Ms Hanna said. The site has a Development Plan Overlay, which makes it exempt from public notice, and is within an area of Aboriginal cultural heritage sensitivity with a Cultural Heritage Management Plan. Residents have fought previous plans for the site including a retirement village and a 99-lot development that did not progress. Ms Hanna said councillors at the time had promised future developments for the area would consider an entrance from High Street but this was never explored for this development. Macedon Ranges planning director Angela Hughes said High Street access was not part of the proposal nor required, so was not further explored with traditional owners of the land. She stated Aboriginal Victoria’s preference was typically to identify artefacts of interest and provide a buffer around it – most times leaving the artefact in the ground. The applicant’s response was to protect the sensitive land to the north and use the existing road network. They indicated no communication had been made from the council or VicRoads regarding alternative access. 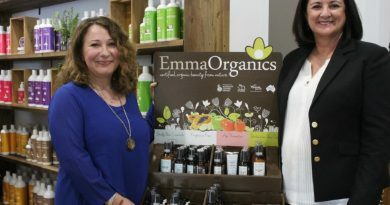 The development was approved at the council’s ordinary March meeting where councillors Jennifer Anderson, Mandi Mees and Janet Pearce questioned council officers extensively. Residents like Peter Sievers said they would have preferred to have the decision deferred to give time to investigate other options. “I don’t think anyone in the street is opposed to the development but it’s the lack of access that is a concern,” Mr Sievers said. The development is expected to progress in four stages and residents aim to meet with council to discuss a traffic management plan. 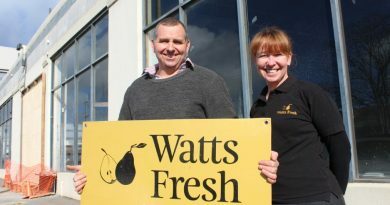 Dean and Sherril Lamb have secured a prime piece of real estate in the old Kyneton Toyota premises and expect to welcome shoppers to a new-look store by Christmas. 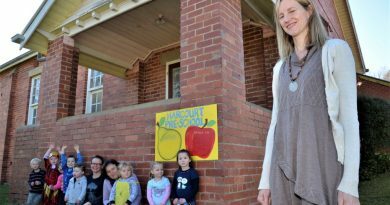 Harcourt Preschool educational leader Lisa Gray with committee members Andrea Brasher and Natalie McCarthy and some of the young enrollees at the preschool that is under pressure to find a new home.